Gower Fresh Christmas Trees is home to the now fifth generation Morgan family and is run by Robert Morgan who grows over 500,000 Christmas trees on the Gower Peninsula. Our first trees were planted in 1997 but it was only in 2006 when we were able to sell our first trees. 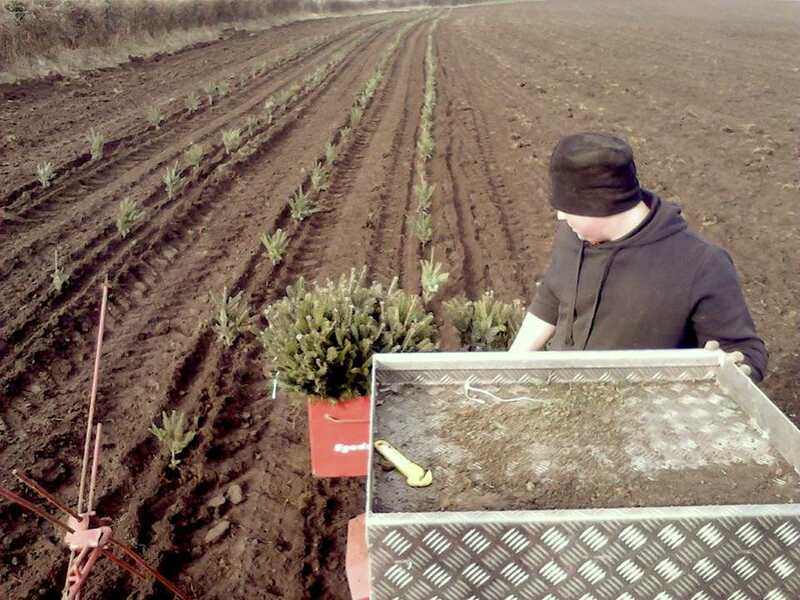 Now in 2018 we are Wales’s largest Christmas Tree growers and solely grow and specialize in growing high quality Christmas trees at the farm. 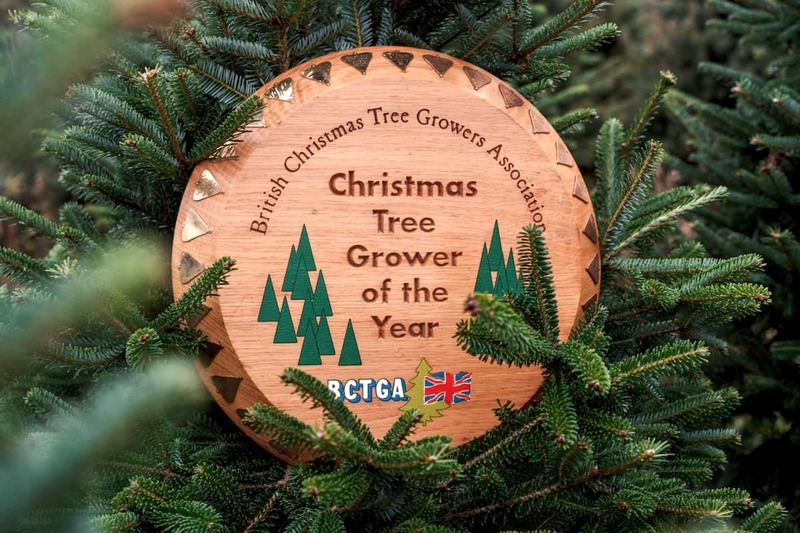 This hard learning curve culminated in Gower Fresh Trees winning the British Christmas Trees Growers Association “Grower of the Year Award 2017” and the accolade of supplying the Prime Minister’s tree which stood proudly outside 10 Downing Street and Robert taking a trip to meet Theresa May in London in December 2017. We are proud to say we are also home to the largest reindeer herd in Wales. 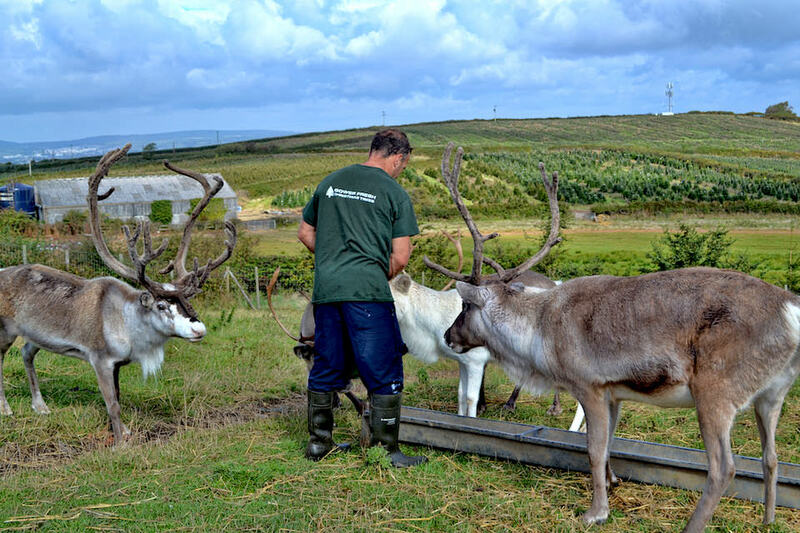 To date we have over 34 reindeer, some of which have lived at the farm for over 14 years. Our herd are very much part of the family and roam freely and happily in their 20 plus acres. Gower Fresh Christmas Trees is also the home of Father Christmas and his magical Winter Wonderland. When you come to choose your tree you can also enter the snowy kingdom. Once inside your journey through the snowy land begins. You will see a family of polar bears relaxing in the snow, trees that spring into life and speak, elves busy making toys, Santa’s sleigh being loaded ready for Christmas Eve and you can even sit in it and feel the magic. At the end of your adventure and possibly a snow shower or two, you will meet Father Christmas and his reindeer and maybe if you have been on the ‘GOOD’ list, get a present. We are the largest Christmas tree grower in Wales and the winner of the Best Grower of the Year Award for 2017 and the accolade of supplying the Prime Minister’s tree which stood proudly outside No. 10 Downing Street. We are also the home of Santa and his magical Winter Wonderland in Swansea. 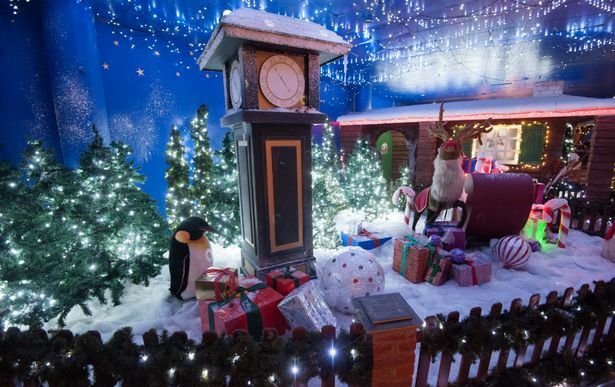 A visit to the Farm wouldn’t be complete without a visit to Santa’s Grotto. The elves are waiting excitedly to welcome the children and take them to meet Santa. Our herd continues to grow. Today we have over 34 reindeer including 6 babies that have just arrived. Plan your trip to visit the farm and Meet and Feed the animals at any time. We promise not to disappoint, it’s really worth it. Buy your tree and stop by our shop to check our extensive range of beautiful Christmas lights, wreaths and decorations, tree stands, cuddly reindeer toys and more. Also get yourself a hot drink and a yummy snack and have a great time. Gower Fresh Christmas Trees, was once a typical farm with 500 breeding sheep, 200 cattle, a sheepdog, chickens and even a horse which was once a Grand National winner and which was bred on the farm. The first batch was planted by Robert, in 1997, together with his late father Mr David Morgan, whom Robert managed to persuade to provide a field to plant them in. Nearly 6000 Christmas trees were hand planted, which fed the rabbits well and were also over-fertilised which resulted in most of them dying. Despite the challenging start, Robert persisted with his idea and continued planting trees for many years with no return on investment, until he managed to sell a few in 2006. The trees sold out quickly and since then the project has never looked back. Robert eventually phased out the sheep and cattle and had to focus fully on the trees, of which he had thousands, although this was obviously a hard decision for him to make. He even had to re-home the sheepdog, as it missed working with sheep. However the decision was necessary in order to produce quality trees and make running the farm a viable proposition. So today the farm is growing over 500,000 trees and supplying them to families, Councils, Garden Centres and Businesses all over Wales and beyond. Well, we realised that Gower Fresh Christmas Trees, and the Reindeer were missing someone special, so the natural progression was to include ‘Father Christmas.’ Robert had a plan to built a grotto. He started with a small wooden shed housed within the old Lambing Shed, where ‘Santa’ was only present for a few hours a day. However he has since converted the entire lambing shed into a huge indoor Winter Wonderland complex, complete with animatronics, falling snow, frozen singers, elves, the reindeer, many Christmas scenes and finally Santa’s Cabin. This has proved a great attraction and can complete a child’s (and an adults) Christmas. Although Robert argues that it takes almost as much effort as growing and nurturing the Christmas Trees as it does to create the magic of the grotto each year, in the end it is well worth it when he sees the faces and reactions of the children together with their families, enjoying Christmas. Robert has now gone from his initial inexperience in planting that first tree so many years ago, to where he is today. In October 2017 he won the British Christmas Tree Growers competition for ‘Champion Grower of 2017.’ This award is basically the ‘Oscars’ for Christmas Trees, where the winner has the honour of supplying the Prime Minister’s Christmas Tree to stand proud at the official entrance to ‘10 Downing Street’ which he succeeded in doing. Robert was also invited to visit ‘Number 10’ in December 2017, where he met Theresa May and they discussed Christmas Trees rather than Brexit. All in all it was a great day and an accolade for Gower Fresh Christmas Trees, Robert, the family and all who have and still are giving their continued help, support and hard work to achieve it. At Gower Fresh Christmas Trees, Robert and his team aim to grow the perfect affordable Christmas Tree for their customers, a tree which will last well throughout the Christmas period and beyond. Creating a magical Christmas experience for visitors from the moment they enter the gates of the farm, for both children and adults. Whether this is meeting Santa for the very first time and believing in him, seeing and feeding the Reindeer in their natural surroundings or for the whole family to find that perfect tree amongst the fields which will be the focal point at home for a wonderful and magical Christmas. 2014 BCTGA RUNNER UP GROWER . We supplied the Christmas tree for outside Downing Street No.10 and met with Theresa May.